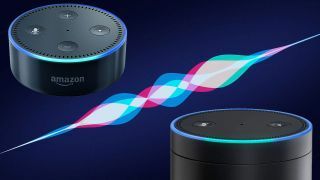 Amazon have released a set of commands that developers can use to make Alexa, the voice assistant currently found in the Amazon Echo and the Amazon Echo Dot, follow a more speech natural pattern. The way Alexa speaks at the moment sounds pretty human, but there are obvious ‘tells’ in the lack of intonation, pitch change and pause that give away that it’s an artificial voice. These new commands are designed to make her voice feel more human, report TechCrunch. There are five commands: Whisper, Expletive Beeps, Sub, Emphasis, and Prosody. All of the commands are designed to frame a specific set of words within Alexa’s script so she knows which words to apply the command to. Whisper and Expletive Beeps are both fairly self-explanatory, and have easily imaginable (and pretty funny) possible uses. Sub is when Alexa should substitute one word for another, so if there is an abbreviation in the written document that Alexa has pulled but it would be unnatural to say the abbreviation, a command can be placed for her to sub in the full word. Emphasis changes the rate and volume at which Alexa speaks the selected words, so if what she is saying is important she can say it slower and louder. Prosody changes the volume, pitch and rate of speech, and is the command with the greatest control, allowing developers to have total control when Alexa’s voice raises or lowers, speeds up or slows down, which really opens her up to take pauses for thought, lower her voice for disapproval, raise her voice to sound emotional. The team behind these commands have put certain limits on so that people don’t start making ‘funny squeaky voice’ Alexa, which is a blessing. We hope these improvements, at the very least, allow Alexa to tell better jokes in future, which was not the case when we filmed her doing so last time (check out the video below for an example of Alexa's original joke-telling abilities).